While doing some link research last night for a client, I came across a fantastic website full of useful information. It deals with travel industry and that industry, along with real estate are two of the easiest to create useful content for prospecting. Many people think of SEO and their websites as one page and that they can only attract people to that one page. That’s not the case at all. You can create so many webpages on your website targeting people at different stages of the buying cycle. You just need to sit down and think of the questions and information people are looking for at every phase of the buying cycle. Inbound marketing company Hubspot has a great article on creating content targeting people in the various stages of the buying cycle. So what was this resource I stumbled upon last night? It was a website created by a Victoria BC hostel, inn and suites property Ocean Island called Ocean Island Victoria Guide. 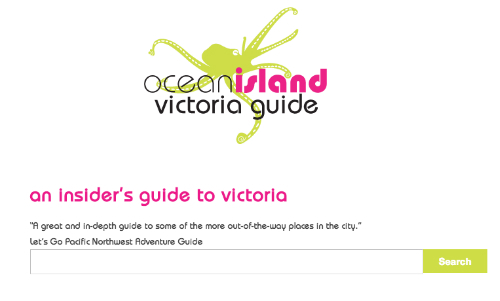 It’s full of useful information for travellers to Victoria and even locals who are looking for things to do in Victoria. As great as the website is as a resource, it could use some form of lead capturing and optimization so people searching can find it. After all, what good is a a car without and engine? It’s as useful as a website without SEO. You need to utilize all your efforts in trying to attract people to your website but to all capture their contact details for further marketing. 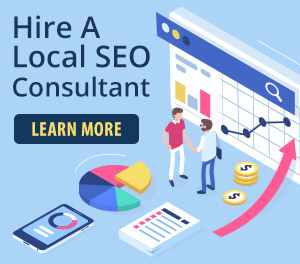 The websites lack of optimization and lead capturing doesn’t hurt what a great resource it is and who knows, they probably have a different marketing strategy driving people to that website. Now the main market they are targeting is people thinking about coming to Victoria and looking for things to do. If they stumble onto the Ocean Island Victoria Guide, they’ll be on the site for a few minutes. Eventually they will see an banner ad with rates for the Ocean Island Hostel. Here you have a lodging property trying to get their business and website in front of travellers. Most properties are trying to target people with their minds already made up they want to visit the city of Victoria and who would search “hostel Victoria BC”. No doubt their website ranks high for that term. But only looking at this stage of the buying (decision in this case) process, they’re also targeting people who are thinking about coming to Victoria and thus looking for things to do. These people aren’t fully sure they want to visit the city. If they land on the Ocean Island Victoria Guide, they might be convinced to visit Victoria and will then look at booking accommodation. What lodging property is going to on the top of mind here? Ocean Island’s hostel, inn and suites! Another market they seem to be targeting is locals and trying to get them to come down to the Ocean Island Cafe & Lounge for live music and drinks. I even found some cool things to do in the city. So how can you emulate what Ocean Island has done and create useful content for your business and website? No matter what product or service you sell, people are searching for information at every step of the buying cycle. You have to create content in the form of articles or blog posts for every step. If they’re properly optimized, you will get targeted people to other webpages of your website outside of the main page. You have to think of your website like a bike wheel with various spokes. Each spoke is a webpage (blog post or article) that targets someone searching about your product or service at a different stage of the buying cycle. 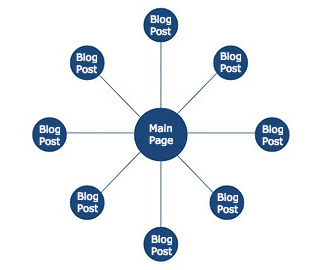 This content will also be helpful for people who land on the main page of your website. When they land on your main page and see that you have loads of articles about the product or service you sell, they’ll most likely read those to learn more. When they read more, they’re on your website longer and not on your competitors. People are looking for information. Give it to them! Sit down and think about every step of your offerings in the buying cycle. If it’s countertops, someone might be searching broadly for “countertop materials?” while another person might have already found the type they want are now looking at cost per square foot. In this case you need to write one article on the types of countertop materials where you educate people on the materials and they’re pros and cons. Then you write another article on countertop material cost per square foot. You get the point. Check out that Hubspot article I mentioned earlier if you are struggling with content ideas for your website. Another benefit of creating useful content is that you build trust and credibility with visitors. There are lots of people who are in business who are not trustworthy nor credible. This makes people skeptical. By having useful content on your website, you will turn skeptics into paying clients. Not only are you building trust and credibility with website visitors, you’re also building it with the search engines. Google, Bing and Yahoo want to provide searchers with quality websites that have lots of useful information so the searcher doesn’t have to visit the middle of the first page of their search result to find what they are looking for. You don’t want to be the website at the bottom of the first page. You want to be the website ranking in the top 3. Take the advice of this blog post and you’ll be well on your way and ahead of your competition.